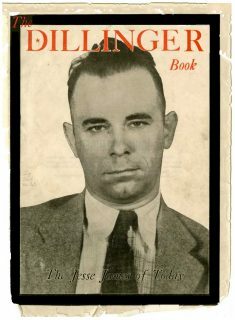 For a long time the library has had a copy of a booklet entitled Life and Exploits of John Dillinger: America’s Public Enemy No. 1. However, our copy has been missing pages 29-32, 47 and the cover. Recently we found these pages thanks to the Indiana Collection at the Indiana State Library in Indianapolis, IN. They had an incomplete copy too, but they had the pages we were missing! After exchanging pages we now both have complete copies. 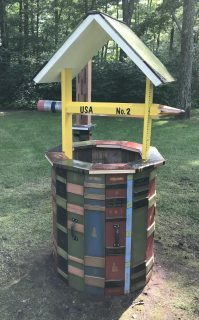 Book Themed Wishing Well Installed! We had a problem: When you looked out the picture window in the community room there was a whole bunch of septic tank stuff staring back (cover, vents). Boo! Hiss! There are three different MW Historical Society events coming up next week!! A talk about the MW area pre-European contact, American Indians, early logging, railroads, and other stories. There will also be two different pontoon boat tours. Please see our calendar of events for all the info!